When we say that there is never a dull moment here at HLS, we’re not exaggerating. 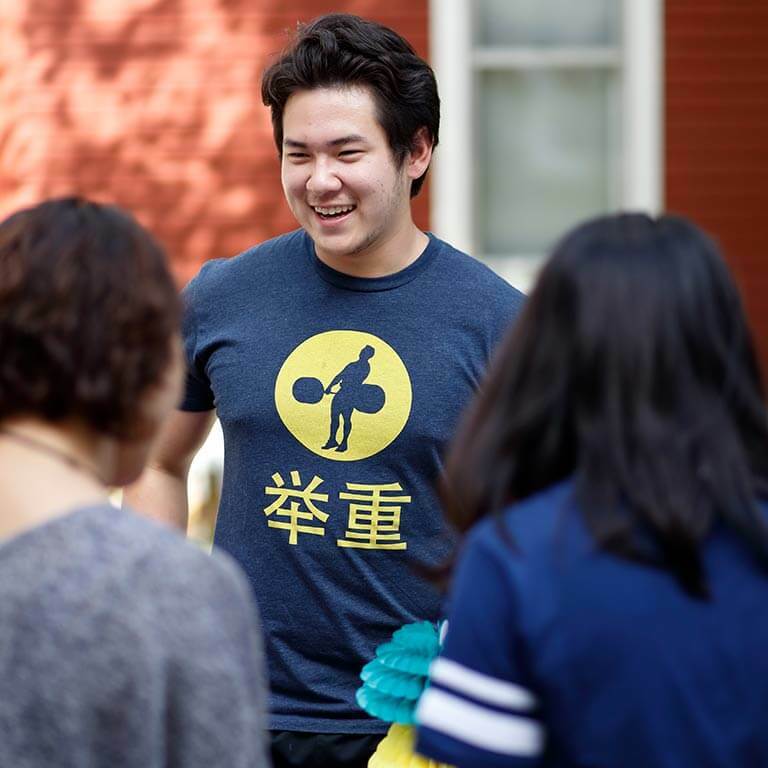 In addition to HLS organizations, there are more than 750 other student-run groups on the Bloomington campus; and that number is always growing. On top of everything, Bloomington is a diverse, lively international community. Can't find the right organization? We can help. There are some 750 student organizations on campus. You’re going to be amazed. Tour HLS, then take a spin around campus and around town. The Global Student Seven (GS7) advisory board holds regular meetings with Dean Feinstein to provide student perspectives on school policies, help organize events, and brainstorm about new student and faculty initiatives. The board also liaises with HLS units regarding student outreach and enrollment matters. The seven-member board is composed of five undergraduate and two master’s degree students. Applications to join the GS7 board are accepted each fall. Two students from the previous year’s board continue as guides for new members, but the remaining five seats are open. Liberty in North Korea (LiNK) aim is to change perceptions about and raise awareness of issues that pertain to North Korea. The organization hosts regular events about North Korea and it is open to undergraduates, graduate students, faculty, and staff members. The Moot Court Club at Indiana University is a student-led organization at IUB. A member of the IU Speakers Alliance, we are dedicated to the promotion of public speaking, argumentative writing, and critical thinking in our members. Put simply, we are mock trial for appellate law. 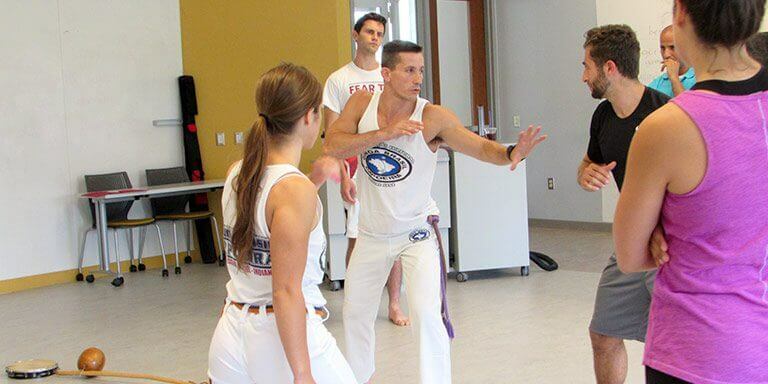 We compete at a variety of competitions nationwide, culminating in a national tournament. We compete on one case a year, building our knowledge of the relevant case law through competing with students at universities across the country. We have members from a variety of schools and majors who have a variety of career aspirations. Join us today!" Sigma Iota Rho (SIR) is the premiere honor society for international affairs and it is open to all HLS undergraduate students. SIR promotes and rewards scholarship and service among students and practitioners of international studies, international affairs, and global studies and fosters integrity and creative performance in the conduct of world affairs. 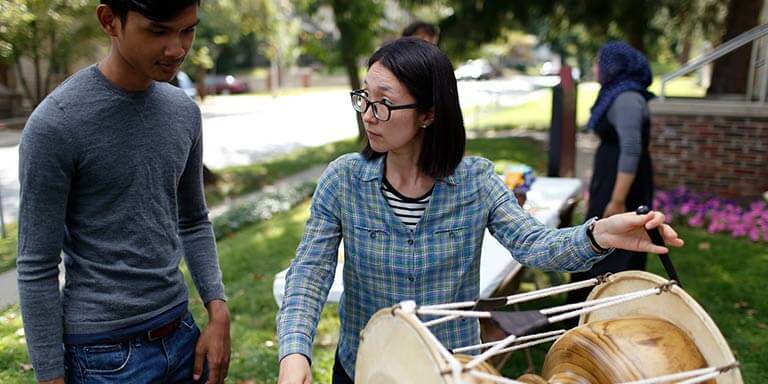 SIR supports HLS activities, hosts events to develop professional skills and networking, and wider global cultural engagement on campus and within the Bloomington area. Student Alliance for National Security (SANS) is a nonpartisan organization dedicated to promoting awareness and education on vital national defense and global security issues, engaging students in discussion on security topics, and making sure students have a public voice on those issues. SANS also seeks to provide opportunities for involvement and professional development to Indiana University students who are interested in politics, foreign policy, international relations, and security studies in our increasingly dynamic and globalized world. Student ambassadors share their excitement about the HLS with prospective and incoming students. Working closely with the HLS recruitment team, the ambassadors coordinate and lead campus tours and orientation sessions. By helping to organize and staff the lectures, panels, conferences, and other events sponsored weekly by HLS, student ambassadors gain both a behind-the-scenes and front-row-seat view of the rich intellectual and cultural offerings of our school. The Turkish Flagship Student Association (TFSA) is open only to members of HLS’s Turkish Flagship Program. The Association organizes events for students in the program to meet one another and practice their Turkish in a social environment, and offers team-building exercises periodically.